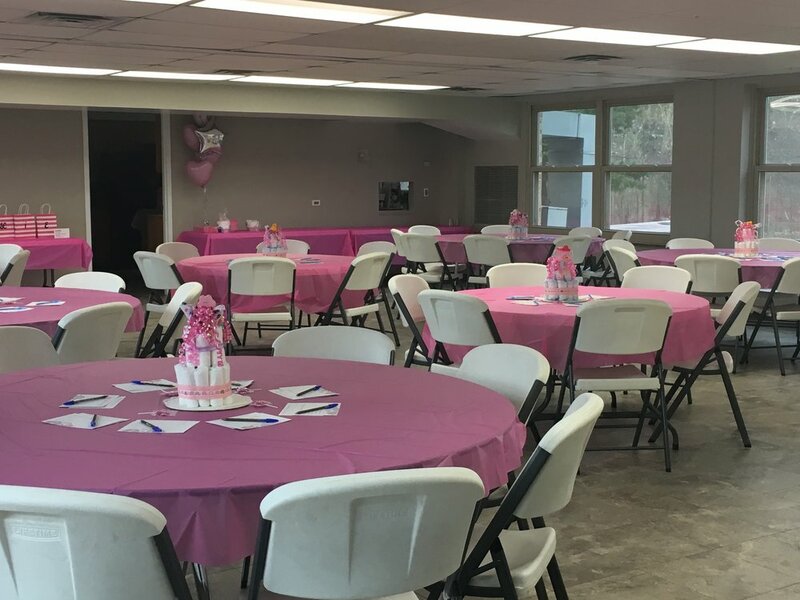 Our Parish Community Center-Great Room has a cozy feeling that accommodates parties/events up to 80 guests. We can provide a catering service or you may bring your own food. We have a full size kitchen, where food can be prepared or just kept warm. 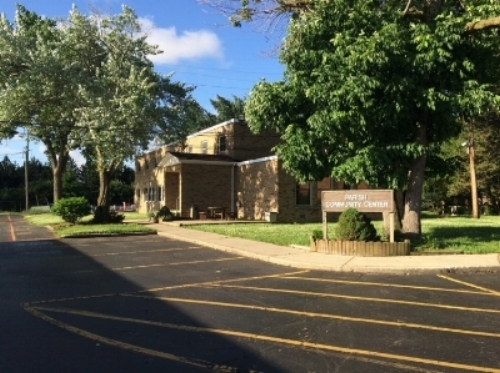 The grounds behind the Parish Community Center may be used for pictures or for any outdoor parties. We have a handicap access to the Parish Community Center and two restrooms on the first floor. A large coat room/storage area is available to place your belongings during the events. A deposit $50.00 is required, which is applied as a credit to your final bill. $125.00 - 1 to 2 Hours + 2 hour set up/clean up is included in cost. $200.00 - 3 to 4 Hours + 2 hour set up/clean up is included in cost. $275.00 - 5 or More Hours + 2 hour set up/clean up is included in cost. No table confetti. No signs or decorations to be attached to the walls or ceiling. No weapons or alcohol on the property. The facility is a non-smoking building. A limit of 1 sign displayed outdoors and must only be displayed on the day of the event. Round tables seating 8-10 persons and long tables are available. 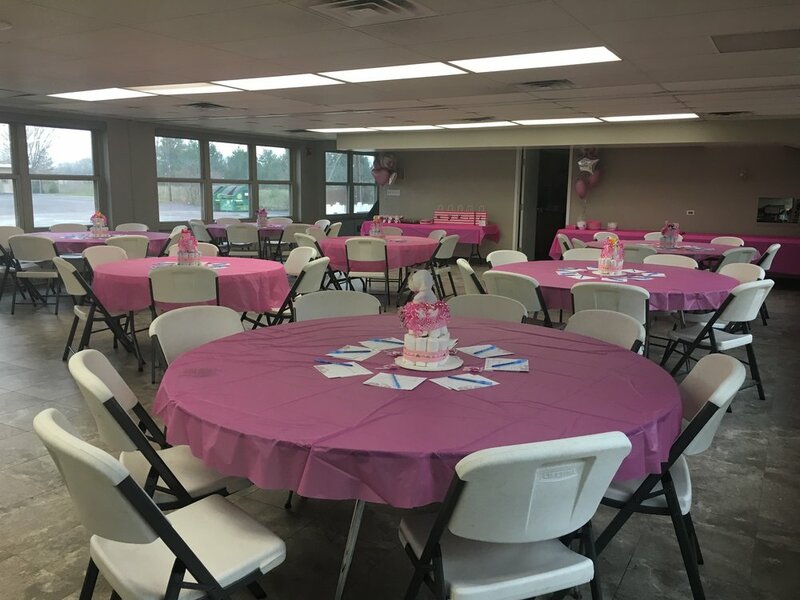 If other than standard set up is required, request must be given to Parish Center Coordinator one week prior to event. Whether it is a funeral luncheon, birthday party, graduation, communions, reunions, showers, etc. We can handle your event and make your experience memorable and simple. • Thank you for setting up the Parish Center for our son’s funeral mass. It was perfect and we appreciated all your help. We had many comments on how nice the tables looked and comforting the Great Room felt. 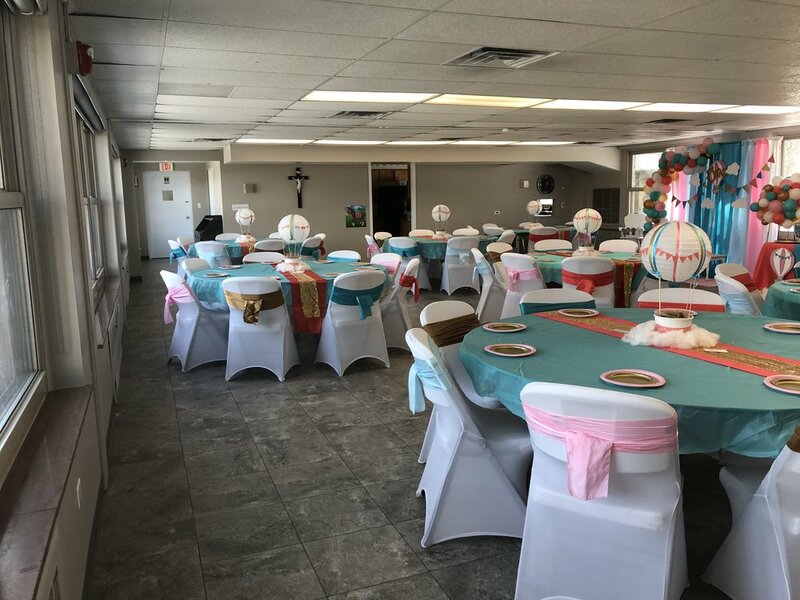 • I could not Thank You enough for all the help and support you gave me during the planning of my son and daughter-in-law’s bridal shower. I was truly blessed to work with you and I would highly recommend St. Leo the Great to anyone planning an event.